SYDNEY -- A ship involved with the deep-sea sonar search for missing Malaysia Airlines Flight 370 is being fitted with a drone that will examine several sonar contacts of interest on the remote seabed west of Australia, officials said Wednesday. 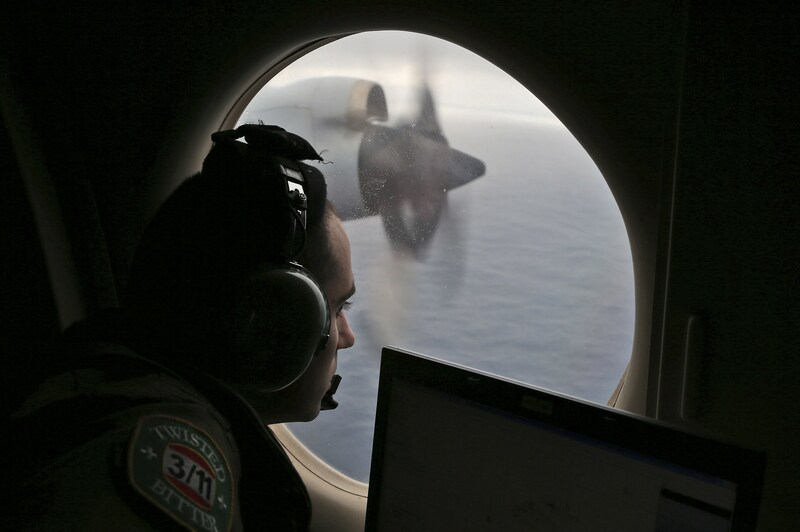 None of the sonar contacts exhibit the characteristics of a typical aircraft debris field, said the Australian Transport Safety Bureau, which is heading up the hunt for the Boeing 777 in a desolate stretch of the Indian Ocean. But some of the contacts do exhibit man-made properties and therefore must be investigated before they can be eliminated as having come from the plane, the agency said in a statement. Officials have previously said that more than 20 sonar contacts that crews have picked up in recent months require closer examination by a sonar-equipped underwater drone. They are between 2,700 kilometers and 1,900 kilometers from the Australian port of Fremantle where the search ships are based. Poor weather during the southern hemisphere winter has, until now, prevented the ships from deploying the drone. With the weather improving, the Chinese vessel Dong Hai Jiu 101 is being fitted with a video camera-equipped remotely operated vehicle that will scrutinize the sonar contacts. Crews have picked up hundreds of sonar contacts of interest throughout the two-year hunt. The contacts are grouped into three classification levels based on their likelihood of being linked to the plane. Contacts dubbed “classification 1” are considered the most likely to have come from the aircraft. None of the recent sonar contacts that the drone will investigate are classification 1. There have only been two contacts that fit into that category thus far; one turned out to be an old shipwreck, and the other was a rock field. Search crews have so far come up empty in their attempt to find the main underwater wreckage of the plane, which vanished on March 8, 2014, during a flight from Kuala Lumpur to Beijing with 239 people on board. The ships have less than 10,000 square kilometers left to scour of the 120,000-square kilometer search zone. Officials previously said the search would be finished by December. On Wednesday, the transport bureau said it is now likely to take until January or February to complete, due to the long stretch of poor winter weather that has hampered search efforts.